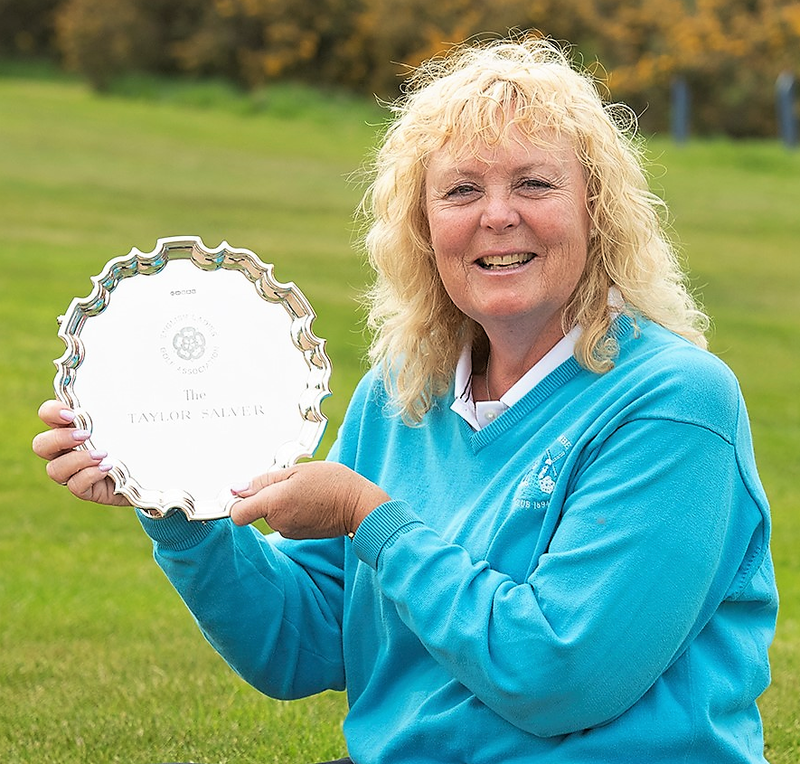 Aileen Greenfield shrugged off the bridesmaid’s tag when she sealed a convincing 6 and 4 victory in the English senior women’s championship at Hallamshire, Sheffield. The Sussex player has been runner-up in three national championships and today she was in tears as she defeated Cheshire’s Cath Rawthore to cross the winning line for the first time. When she moved into the women’s game she was playing at the same time as the likes of Alison Nicholas and Laura Davies. Then senior golf came along and she rapidly played her way into the England team and, finally, to that long-awaited national title. “Senior golf has been fantastic, just so good,” she commented. She moved steadily through this championship, comfortably qualifying for the match play in 12th place. She went on to knock out former champions Caroline Berry and Helen Lowe, before defeating Staffordshire’s Sue Spencer (Whittington Heath) in the semis. On the other side of the draw Rawthore (Sale) knocked out Cumbria’s Janette Spencer (Appleby) in her semi-final to target her second win in this tournament. It was Rawthore who made the opening move in the final, winning the first hole, but after four holes the players were back on level terms and Greenfield never again fell behind. Greenfield’s golf was impressively steady, with long shots arrowing at the green, supported by a fine short game. By contrast Rawthore began to find trouble, losing a ball in the trees on the 10th and having to take another penalty on the 13th where her approach to the green found gorse. Greenfield made steady ground, dominating the back nine and sealed her win with a birdie on 14. In the over 60s Ann Howard Trophy, Carol Wild (Notts Ladies) hit top form to defeat Yorkshire’s Pat Wrightson (Huddersfield) 7/6 in the final. Wild had just 12 putts on the outward nine which helped set up her victory.